According to Harvard Health, sleep deficiency increases the risk of depression and can aggravate anxiety, which in turn affects your ability to function throughout the day. Sleep will evade you when your body isn’t tuned to the natural sleep cycle. This is especially true for those who work late nights and odd hours. These days, we are all about professing our ability to work hard for an inhumane number of hours. This, however, goes beyond just trying to hustle and be the best you can be. Lack of adequate sleep can prove to be harmful not just for your productivity, but also your mental health. According to Harvard Health, sleep deficiency increases the risk of depression and can aggravate anxiety, which in turn affects your ability to function throughout the day. Essentially, lack of sleep means your body doesn’t get the sufficient ability to refuel you for the energy required to function a 100% the next day. This, of course, means that it hampers your productivity all while your mental health deteriorates through all the fatigue and mood changes, fostering a harmful cycle that does nobody any good. Thankfully, just like how your body has learned to get used to a bad night’s rest, it can unlearn it when you incorporate a new routine. Stretching: A major reason why sleep might be evading you is simply that you’re thinking too much and this, in turn, causes anxiety for even the best of us. Stretching in bed is a great way to ease out your concentrated muscles, and a few good stretches would include hugging your knees to your chest one by one as you inhale deeply – a minute form of meditation to help to battle that anxious mind. This allows you to focus on relaxing rather than all the things that might’ve gone wrong that day, saving the energy for the next day. Chamomile Tea: The sip of the warm tea induces you into this sense of calm that slows down your mind as it readies you for bed. Chamomile Tea is shown to have calming properties, and in fact, history demonstrates that it was used as a moderate sedative to soothe nerves. Warming up a cup before bed is a great remedy for those prone to midnight racing thoughts. Avoid Electronic Devices Before Bed: This has become so important in the 21st Century where we have become accustomed to using our electronics for everything, and that includes setting an alarm. Now, we understand that setting your alarm is important, but so is having set times to go to bed and wake up. 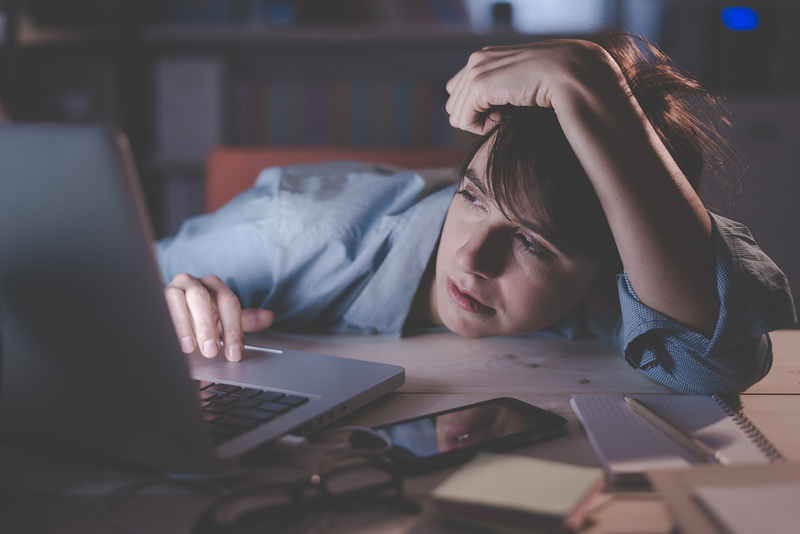 According to the Sleep Foundation, exposing your eyes to the blue light emitted by your phone or laptop pr TV suppresses the part of your brain that is responsible for sleep, instead misleading it into delaying that much-needed rest. Read: This is something that can substitute for the electronic devices. Now, we’re not telling you to go read something so interesting that it keeps you up at night, but something that allows you to relax and ease away the tension. A study by Sleep Council mention that reading before sleeping almost assures a good night’s rest. Listen to Calming Music: Music has always proved to have a calming affect on one’s body, and the same applies to listening to music before sleeping. In a way, this contradicts point three, but if you do happen to use your phone to this, make sure to have a playlist that lasts at least 45 minutes, keeping it at a low volume during which you can even read before eventually giving way to sleep. The Sleep Foundation proposes classical or jazz songs with 60 to 80 beats per minute as the best recommendations for your sleep playlist. Setting up a sleep routine might be difficult in the beginning, especially when you’re used to just plopping yourself down on your mattress, but giving yourself the time to wind down from a strenuous day is key to a good night’s rest. Your bedtime routine is what will help you to breathe and relax, two important points required to proceed towards a good night’s sleep. Think of the above as suggestions you can incorporate at your own pace, the most important being the decision to keep some time to create that routine. Vishal Ingole is a Content Strategist and Blogger. He has written for numerous publications in the past on topics ranging from finance, Enterprise IT to health and travel. He also writes for www.sleepsherpa.com and oversees the overall content strategy. Sleep Deprivation: What’s Occupational Therapy Have to Say?